In Memory of Aliyatu, 15 – Aliyatu Moro was a persevering, faithful young lady, who, at only 15 years old, always kept her head up regardless of her health conditions. Aliyatu was vaccinated when she was a year old, but she became paralyzed soon after and could not walk again. She only went out with the help of a wheelchair, which meant everything to her. Zakat Foundation of America (ZF) representative Salia first met her in 2004, sitting by a well near a mosque. It was clear that Aliyatu could not walk, so Salia arranged to get her the aforementioned wheelchair. She was gifted a second wheelchair in 2012, and a third one in 2015. One wheelchair had pedals that allowed her to move on her own, promoting muscle strength. Aliyatu and her family were also the recipients of ZF’s livestock program, in which a donor gave them two sheep. She was also a beneficiary of the Orphan and Vulnerable Children Program, through which she received monthly stipends. She was proud of her wheelchair and her sheep. Her parents supported her in taking care of the sheep, which soon delivered four more, totaling six sheep for her family. The parents were urged not to sell or slaughter them for meat, as having the sheep would greatly benefit their family’s economic situation. ZF recently received the sad news that Aliyatu has died. She passed away June 11 in her hometown, Nkenkasu District, Ghana, as she had suffered from bee stings that put her body in shock. May Allah (SWT) have mercy on her soul. 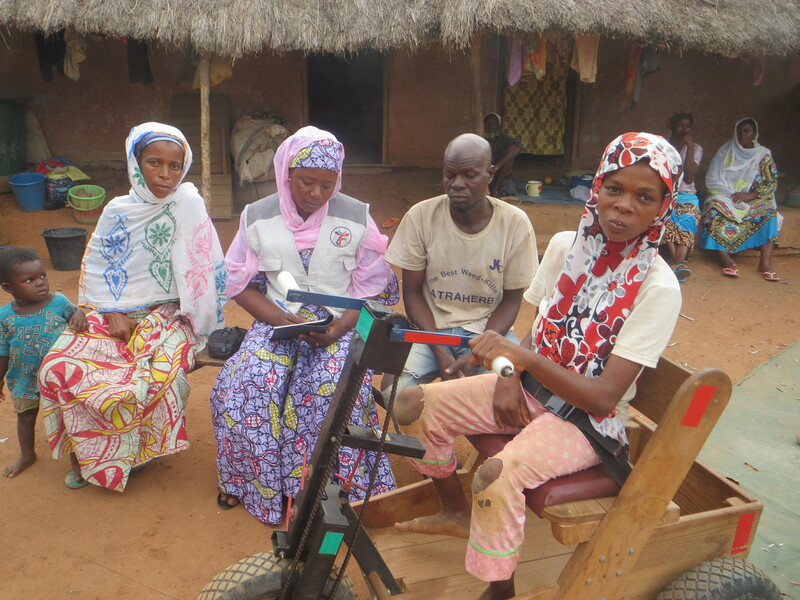 Despite being in a wheelchair, Aliyatu loved to attend Friday prayers. On June 9, 2017, Aliyatu went to Friday prayer at the mosque where Salia first saw her in 2004. The congregation was attacked by bees after the prayer. Aliyatu’s grandmother tried to protect her, as she was unable to run away. Aliyatu’s parents tried to take her back home, and the bees attacked the four family members. The bee attack lasted about 30 minutes. Aliyatu’s mother said they could only wade off the bees after setting fire to some dried grass and using the smoke as repellant. Aliyatu, her parents and her grandmother were sent to a health facility about 6 miles away, where they were treated and discharged. Aliyatu’s condition worsened over the next couple days, and she passed away en route to the hospital. Aliyatu performed her prayers sitting down, and she had never attended school. Her conditions did not stop her from enjoying time with her younger siblings; she played with them by moving around in her wheelchair. She lived with her mother, father and five siblings in a semi-compound house, along with her grandparents. Aliyatu’s father showed ZF much gratitude and said ZF helped a great deal in taking care of his beloved daughter. “Your continuous support has really relieved me of a great burden,” Aliyatu’s father said. He would save money to pay for a teacher to come to the house for Aliyatu and fulfill her dream of one day receiving an education. Aliyatu was a lively young girl and was particularly happy whenever she saw Salia. Aliyatu is survived by her parents and five siblings. May her soul rest in perfect peace. ZF started its Orphan Sponsorship Program in 2001, and began identifying and including vulnerable children this year. ZF follows international child sponsorship standards for both orphans and other vulnerable children. Vulnerable children include those with developmental or physical disabilities. Donate at Zakat.org today to help empower those who find themselves in unfortunate situations similar to Aliyatu’s.